Thanks for everyone posting their info on the battery cross reference. The size reference will also be a great asset to have on the thread. I know I would have spent days (possibly weeks) trying to get just the Li-ion cross reference to a half-way decent state. Thanks again for all the valuable info. Shaman, thanks for bringing this to our attention. This is a very interesting topic - thanks to all of you for your participation, especially AW. That's why I hereby designate this thread as a Sticky Thread. I know this is a lot of info to ask, but it actually helps a lot, especially with flashlight design. I am particularly interested in the CR2 size, but many others are going to of course be interested in 123 and 18650 versions. The level on protection depends on the PCBs itself ( the 14mm, 16mm has different spec. than the 17 & 18mm ). The slightly larger diameter is due to the PCB connecting strip running along side of the body. For the RCR2, the outside diameter is the same with a regular CR123A if you peel off the outer sticker label. Thanks AW for the info. I had read those threads in detail, and they contain a lot of info on the AA / 123 / larger cells, but I could not find much info on the RCR2. I appreciate the additional detail, and fewer posts to read. I assume you meant that if you pull off the sticker, the RCR2 is the same size as a standard primary RCR2 ? The 1 C discharge curve is very helpful. Is there any chance that you have a 2 C discharge graph ? 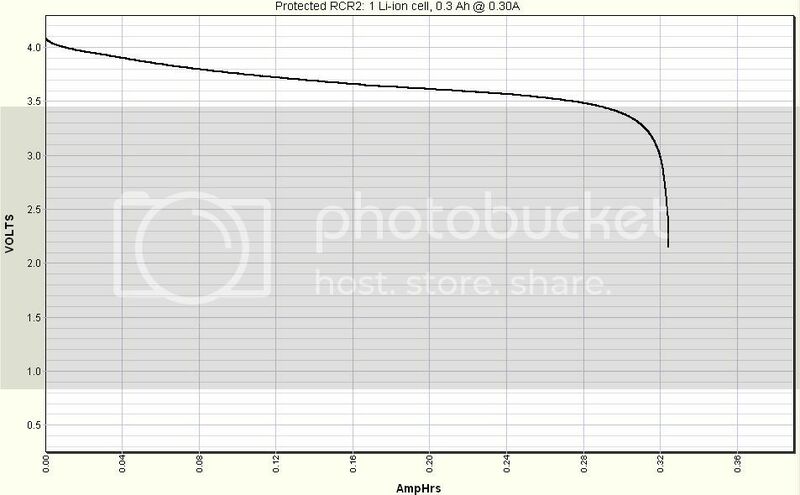 Obviously my interest is in trying to qualify the RCR2 cells for using in my "BREEZE" CR2 side x side custom light, as I may have found a technical path for doing this, but it would run the cells at 2 C.
BTW, this batch of protected RCR2 seems to be 0.5mm shorter than a regular CR2 ( still within industry standard ). However, I 'll try to get them as close to standard as possible for the next batch. AW is the best! One of the 5 best sellers on "that other forum" I have ever dealt with...and everything always gets worked out to your full satisfaction. I have ordered from him at least 15-20 times. AW, you might also want to put the new Pila battery model numbers on that first page of this thread. Yes, AW is one of the best dealers I've worked with. I just tried to compile all the current information in this post into AW's post at the beginning of this thread. Please let me know if I have made any errors of if any corrections or additions need to be made. Thanks to all for submitting information! This all looks good to me. I captured this in my Firefox Scrapbook for offline viewing. 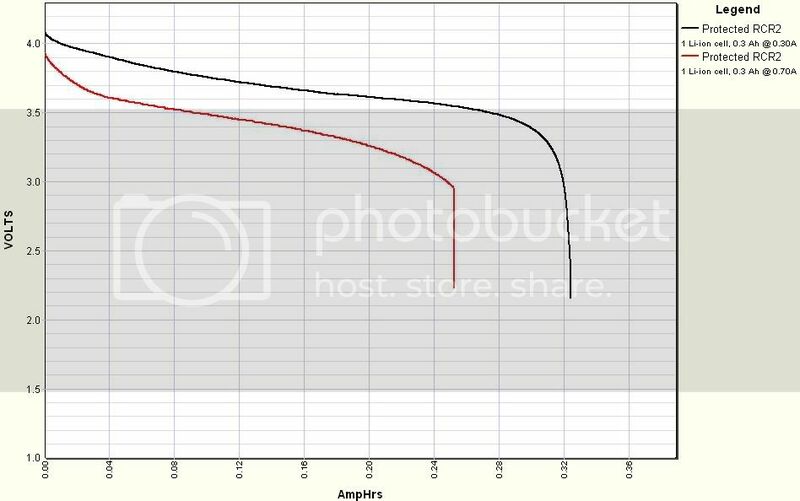 Hi - I am looking for some discharge curves for AW protected 18650s and the pila equivalent. I searched several forums for 2 hours, and I am somehow just missing it. Could someone please post the info or a working link ?